Laminate’s three primary attributes – fantastic performance, realistic natural looks and lower price points – make it a great choice. While covering a wide range of price points from low end to high, laminate is one of the least expensive flooring options available. The average price of an laminate floor should be around $1,700 but don't be surprised to pay more for high-end laminate that takes style and performances to the next level. It's worth it. 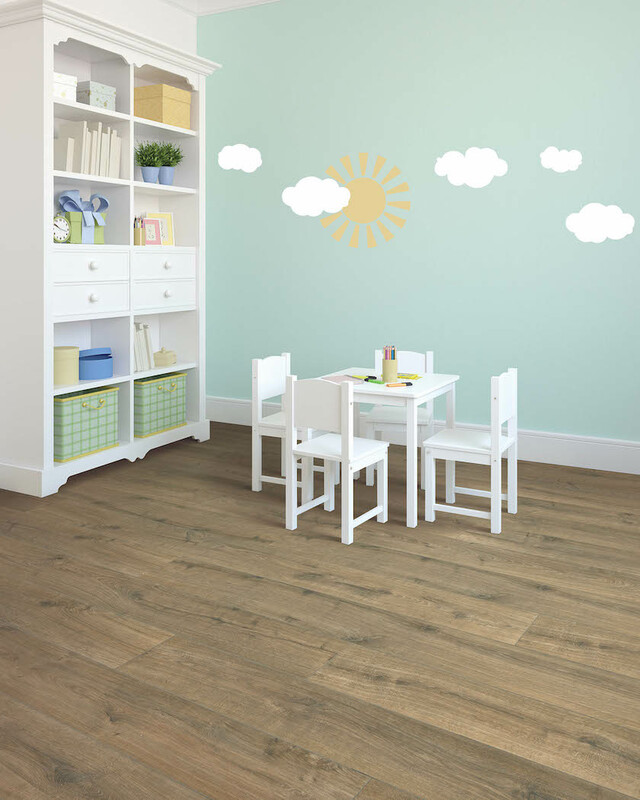 What gives laminate flooring its strong performance features is its incredible wear layer giving it an edge over other flooring options when it comes to scratching, staining, wear and fading. Worried about cleaning and maintenance? Here as well, it’s hard to beat laminate. Most often made of a thin but incredibly hard layer of aluminum oxide or melamine, laminate is one of the top performing floors you can buy. Today, laminate flooring has added an extra level of protection with waterproofing systems that provide warrantied coverage against spills (and pet accidents). Advances in high-definition printing technology are what allows laminate floors to so closely emulate today’s most popular hard surfaces at a fraction of the cost. On top of clear, crisp visuals, manufacturers are able to create texture and pattern using various techniques like embossing and now embossed-in-register technology that creates surface texture that perfectly aligns with the pattern beneath. 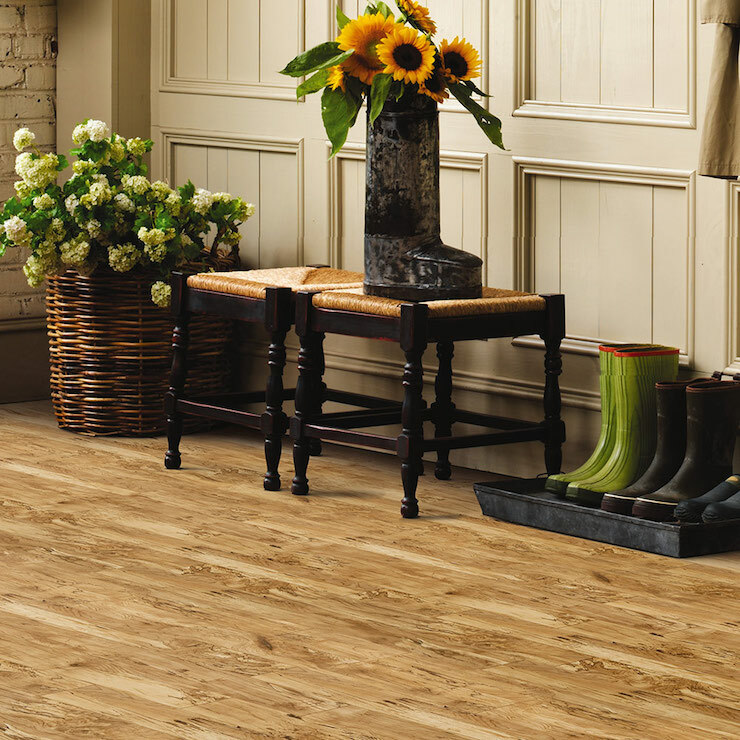 Today, laminate floors offer and unparalleled level of realism that makes it difficult to tell the difference between laminate and natural flooring products. Get ready for a new level of realism in hardwood and stone looks that will surprise and delight. Two more features - ease of installation and the fact that laminate can be installed directly over most existing floors (other than carpet) - and you can see why laminate is a top choice for DIY (do-it-yourself) projects. Because laminate flooring does not fade, repairs are as easy as taking an unused board (hopefully you have a few left over) and swapping it out with the damaged one. You have to know what you're doing, but if you do, it's a fairly easy process.